I prefer to come to Dr.Caballero over any doctor elsewhere. She truly cares about all her patients and demonstrates it in the way she treats you during and after your consultation. There has not been a time that Dr.Caballero has not followed up with a phone call after my visit to see how I am doing. When I visit Fremont Urgent Care I know I can trust that I am being cared by a knowledgeable and professional team of physicians. Good doctor who'd listen to my needs and health issues. She is motivative and gave good advice for additional help else where. The staff was super nice and helpful.. Dr, John Giddens is a very nice and funny doctor. Took very well care of me when I was there.! I’ll always remember my last swan song! With Dr. John.! 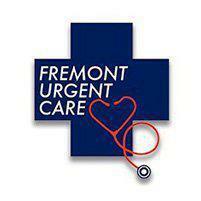 I’m very please with the service and staff at Fremont Urgent Care. I will certainly recommend to my family and colleagues. Thanks again ! For the most part she is a really good Docotor but the last time I was there I thought it was rude for her to answer her cellphone to have a conversation with an MRI for another paciente when I was sitting right in front of her she should of waited to release me and finish what she was writing on the computer and then take the call. But other then that incident everything is good the service everything is perfect. Clean, quiet, and prompt. Dr. Giddens advised me of the risks taking off my stitches a little early (another hospital told me it was already ok to) and when he did take them off, he put on steristrips to help keep my finger from bending and preventing opening the wound again. The staffs working there are friendly and helpful. Always have a great experience at This location. Facility is kept up nicely and the whole staff is friendly. Dr. Giddens always provides me excellent care and service. Thank you!! Dr Giddens is a fantastic doctor! I would highly recommend him. The health care providers at Fremont Urgent Care are professional, thorough and consistently achieve a high level of service. My visit was made enjoyable by the prompt and courteous service of the staff and the attending PA Veronica. I have used this clinic before and will plan on visiting them again if ever a further situation should arise. Thanks for being there for us that can't afford the high cost of Medical insurance. Dr. Nyquist remembered every detail of my case without needing to refer to my file notes.